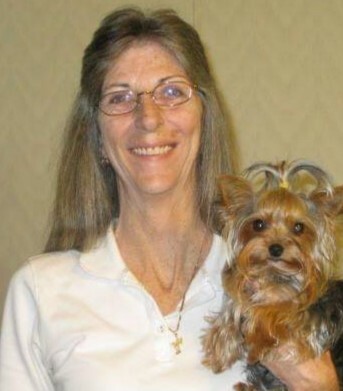 Christine Ann Bynum, 59 of Gainesville passed away Sunday April 7, 2019 at the Northeast Georgia Medical Center. Born in San Antonio, Texas, Mrs. Bynum had lived in Hall County for a number of years. She was the daughter of the late Eugene and Carolyn Newhouse Williams. Survivors include her husband, Robert Bynum; sons and daughter-in-law; Michael White (Meredith); Adam White; sister and brother-in-law; Kim Ryan (Matthew); brothers and sisters-in-law; Nathan Williams (Sharon); Eugene Williams (Heidi); step mother, Loretta Williams. A number of nieces and nephews as well as a host of other relatives and friends also survive. Memorial services will be held at 3:00 p.m. Thursday April 11, 2019 in the chapel of Little & Davenport Funeral Home. The family will receive friends at the funeral home Thursday from 2:00 p.m. until the funeral hour. In lieu of flowers the family has asked that memorials please be made to the Humane Society of Northeast Georgia, 845 West Ridge Road, Gainesville, Ga. 30501.